In our house we payed attention to use only biological materials - this gives it the special ambience. 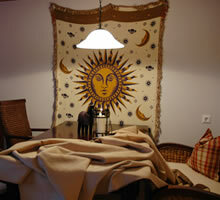 For all our appartements we give you bed linen, dish towels, towels for the duration of your stay. In the morning we bring you fresh bread directly into your appartement.